With the sharp rise in tourism, there is now a great range of hotels in Santa Marta. The vast majority of luxury hotels are to be found in the city of Santa Marta itself and in El Rodadero, about 20 mins from the city. Self-catering apartments are found almost exclusively in El Rodadero. And backpackers will find hostels in Santa Marta and the nearby fishing village of Taganga. Probably the best of the boutique hotels in Santa Marta is Casa de Isabella. The rooms here are terrific and the staff are very friendly and attentive to your needs. 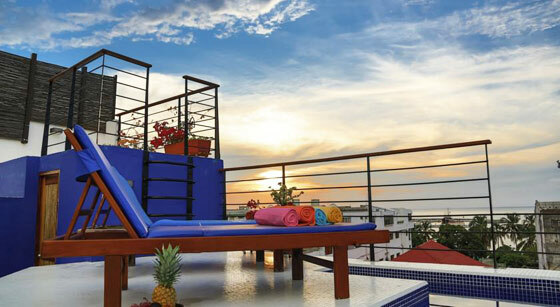 There is a pool and a hot tub on the rooftop terrace with great views over the city. Another great option is La Casa del Agua Concept Hotel Boutique. The rooms are comfortable and well decorated. There is a cosy indoor pool and a nice rooftop terrace. It's located just a few blocks from Plaza de Bolivar and so is within easy reach of all of the city attractions and entertainment. If you're looking for a self-catering apartment in Santa Marta try Guambertur. The apartment block is located on Rodadero beach and is close to a large number of restaurants and bars, although still far enough removed to offer you a peaceful night's sleep. Most backpackers have tended to head to Taganga in search of hostels. However, while this fishing village remains popular, an increasing number of budget travellers are now stopping in Santa Marta itself as the backpacker scene in the city improves. If you're looking for a party hostel, go for La Brisa Loca. This large hostel is well placed in the centre of the city and has a lively bar and a small indoor pool. It's just a short walk from one of the main bar and restaurant zones. 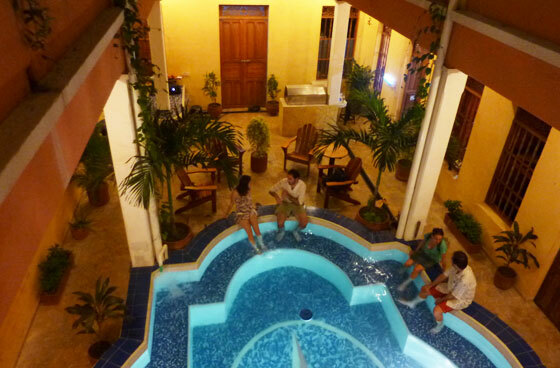 I personally think the best hostel in the historic centre of Santa Marta is Aluna Casa. Designed, built and run by an Irishman called Patrick, Aluna Casa is convenient, clean and comfortable. All dorm and private rooms are ensuite. It includes a roof terrace and garden. Breakfast is also available at an additional cost. The best hostel in Taganga is Casa de Felipe. Set up and owned by a Frenchman, this hostel has long been a backpacker favourite. It's a 5-minute walk from the beach and as such is nice and quiet at night to enable a good night's sleep once you've explored the nightlife. See my main guide to Taganga for more info about this fishing town as well as recommendations for places to stay.